At a remote outpost, a military chaplain reads from an ELCA prayer book. Outside a Turkish orphanage, a boy plays with a new soccer ball. In a Wisconsin veterans center, a family finds homemade cookies and a listening ear. 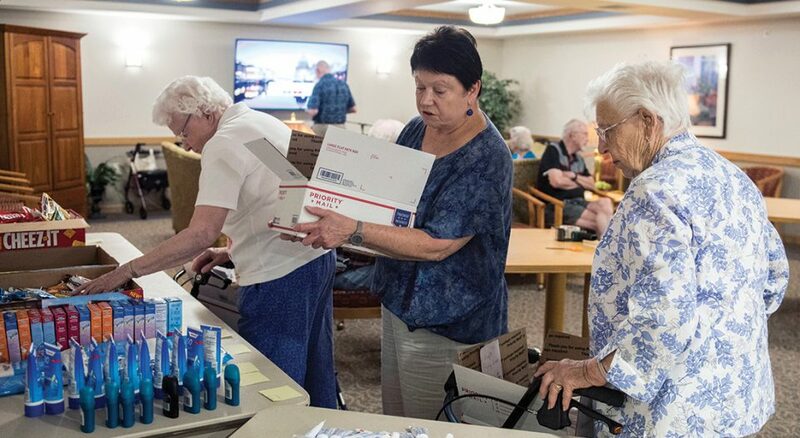 All of these experiences were made possible because a dozen or more residents of Oakwood Lutheran Senior Ministries’ Prairie Ridge campus in Madison, Wis., gather on the third Friday of every month to fill and send care packages to chaplains and service members worldwide and veterans at home. 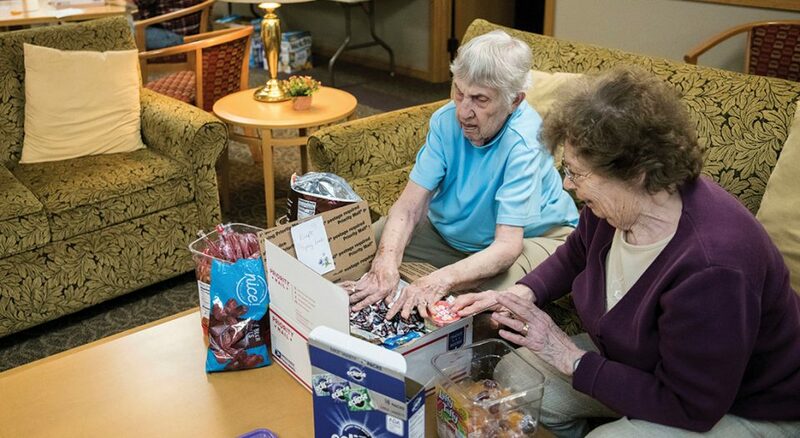 Soon, that call came; Oakwood could meet a need through care packages. With prayer and $200 each, Harper and fellow residents Opal Boehm, Phyllis Gerlach and Pearl Nabis began the Oakwood Packers ministry. They sent the first care package in May 2007. Oakwood employees and their family members supplied the names of people serving overseas to receive the packages. By 2015 the Oakwood Packers had sent 1,000 care packages to ELCA chaplains and service members—and their packing group had grown. Like a military unit, the group developed order and camaraderie. Residents Sharon Hamilton and Kathy Rasmussen track the number of packages. Rasmussen updates residents through the Oaktree newsletter. Packing sessions are “a good time,” Hamilton said. “We have a schedule and everyone has a task assigned.” Some arrange items; others tape boxes. Care packages are designed to support physical, social and spiritual needs. There are trail bars and toothpaste, and a hand-knit cap to keep out the cold and dust. The caps, which get used under troops’ helmets, have become a mission for Oakwood knitters, Hamilton said. Eric Wester, ELCA director for federal chaplaincies, has helped supply the Oakwood Packers with names of ELCA chaplains who could use the packages. He also told them about the Evangelical Lutheran Worship “Prayer Book for the Armed Services,” which is now included in every care package. 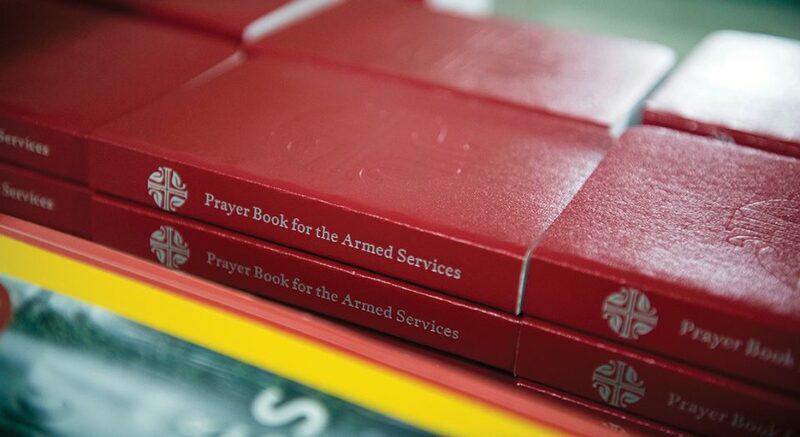 “The book contains a treasure of intercessory prayers unlike anything you will find in typical prayer books—prayers that go right to the heart of the challenges and satisfactions of military life,” Wester said. One time a chaplain made a request that led to a memorable care package. Serving near the Syrian border, the chaplain knew that children living at a nearby orphanage run by Turkish nuns could use toys and snacks. In response, the Oakwood Packers sent a package that included jump ropes and soccer balls. The Oakwood Packers have also started serving those in their community through baking and delivering cookies and other homemade treats to veterans and their families receiving care at the Madison Vet Center, Mach said. The Oakwood Packers have received five awards for their work and, at press time, have sent 1,474 care packages. They’re not slowing down: local businesses and organizations are joining their mission, and Oakwood’s chapel donates its offerings one month every year toward the care packages. Rachel K. Hindery is a freelance reporter and a member of Grace Lutheran Church in River Forest, Ill.